jp.ik’s Popup School is a fully integrated solution with a simple and fast implementation process that delivers a Relief School to communities that have suffered with natural disasters, war conflicts and other emergencies. In the last 10 years, over 1.7 billion people have been affected all around the world, leading to situations of forced displacement and no access to education services for months of even years. It is estimated that education receives less than 2% of the humanitarian aid, compromising the future of millions of children. The Popup School aims to fill that gap by providing a safe space in the aftermath of a crisis. Las Escuelas Popup no son únicamente espacios educativos sino al servicio de las necesidades de formación de las comunidades rurales o en riesgo de exclusión, espacios multifuncionales para la gestión de crisis, apoyo en temas de salud, información sobre posibilidades de empleo, gestión administrativa, etc. Por esa razón el proyecto de Escuelas Popup para el Caribe se denomina i-Life Skills Centers. ¿Qué son las Escuelas Popup? 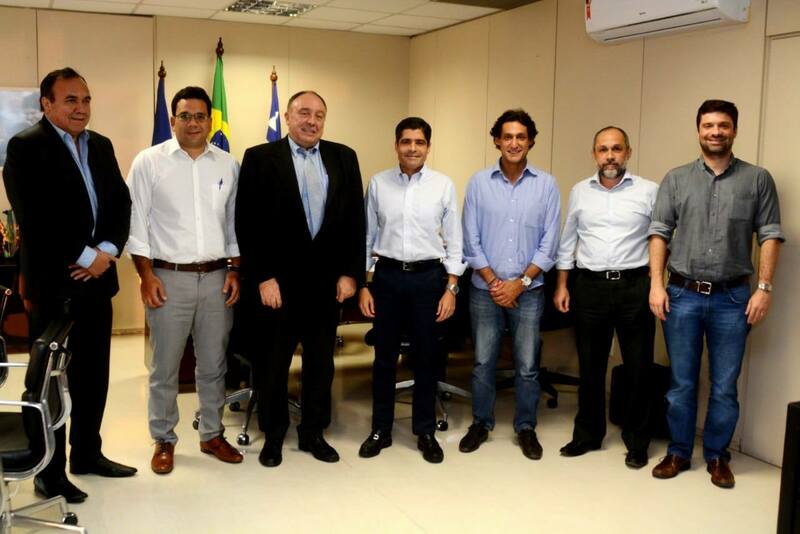 Salvador de Bahía, Ciudad 2030. 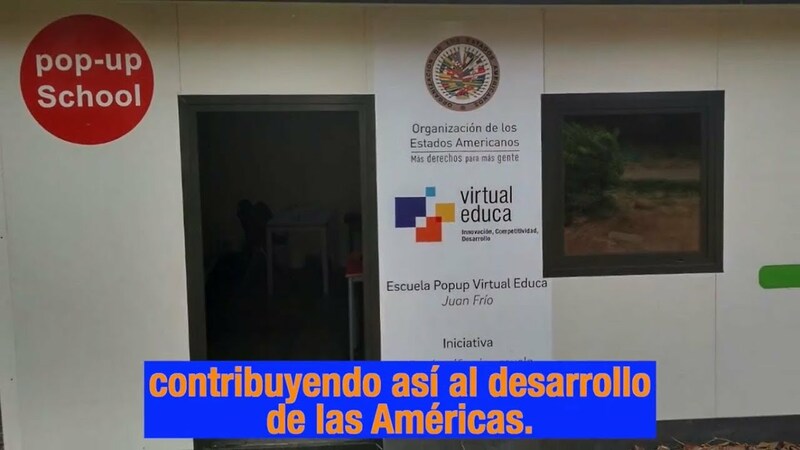 La OEA destaca la colaboración de Virtual Educa. 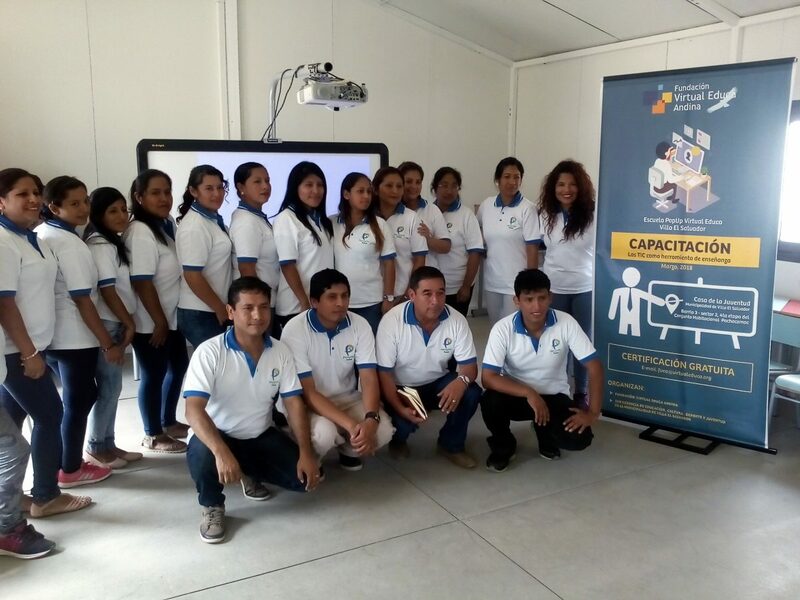 Capacitación docente en la Escuela Popup Virtual Educa de Villa El Salvador.